What’s better than new TV shows during the Fall season? Returning TV shows! I’ve got the scoop on some of the faves coming back to our flat screens, tablets, laptops, and mobile apps. I’ll run down where they left off and why we can’t wait until they pop up again. Where it left off: The breakout hit that premiered in Fall 2016 ended the season with Jack (played by Milo Ventimiglia) and Rebecca (Mandy Moore) separated. Randall (Sterling K. Brown) quit his high-powered corporate job and told Beth (Susan Kelechi Watson) that he wants to adopt a child. Kevin (Justin Hartley) decided to pursue a movie deal with director Ron Howard. Kate (Chrissy Metz) announced that she wants to pursue a singing career like Rebecca did. Why you must watch the return: Viewers still desperately want to know how Jack died (set sources say we will learn a big piece of that mystery in the season 2 premiere). And how Rebecca wound up married to his best friend Miguel. The sophomore season of this mesmerizing show will have a few guest stars: Sylvester Stallone, Dan Lauria (Wonder Years), and Debra Jo Rupp (That ’70s Show). Insiders say that we will see more of William’s (Ron Cephas Jones) early life including how he met Jessie. With 10 Emmy nominations, this show is bound to please us for many more seasons to come. Where it left off: Olivia (played by Kerry Washington) discovered that Vice President-Elect Luna Vargas (Tessie Santiago) orchestrated the assassination of her husband Frankie (Ricardo Chavira) to obtain a real seat at the White House table. Olivia and Jake (Scott Foley) forced Luna to take her own life to avoid the horrific reveal. This dark behavior was right in line with new Chief of Staff Olivia tricking Mellie (Bellamy Young), the new POTUS, into reviving B613 so the ultimate fixer could run it herself. Olivia and Rowan aka Papa Pope (Joe Morton) called a truce and made plans for Sunday dinner for the umpteenth time. Fitz (Tony Goldwyn) kissed D.C. and Olivia goodbye via a Whitney Houston/Kevin Costner moment from The Bodyguard. Olivia promised Cyrus (Jeff Perry) a Vice President appointment after learning he ultimately groomed Luna. Why you must watch the return: This is the final season of Scandal. Shonda Rhimes wants to go out on top with Season 7 and I don’t blame her. The premise of the show has always been the forbidden love story between a married President and his mistress. Well, he’s no longer President and has been divorced for quite some time. Scandalholics need closure before the final curtain though. Will the remaining gladiators Quinn (Katie Lowes), Huck (Guillermo Diaz), and Charlie (George Newbern) be able to fight on without Olivia at the helm? Will a pregnant Quinn marry Charlie or leave him at the altar for her true soulmate Huck? Where does Jake fit in? Will Papa Pope attempt another coup? Will Olivia and Fitz finally get their happily-ever-after in Vermont? Where it left off: This hilarious debut comedy showed retired New York police officer Kevin (played by Kevin James) attempting to enjoy a less stressful life. However, his oldest daughter and her quirky fiancé (the wildly funny Ryan Cartwright) moved into his basement. And his loving wife Donna (Erinn Hayes) monitored his unhealthy spending and eating habits. Kevin joined the force again briefly for an undercover operation during the two-part season finale. He was paired with his former partner, Vanessa (Leah Remini in a recurring role) to take down criminal art dealers. Why you must watch the return: Remini in, Hayes out. That’s right. In a shocking reel-life/real-life twist, Donna will die off-screen because Hayes’ contract was not renewed. Remini will join the cast as a series regular. I liked the James and Hayes pairing, but that ol’ King of Queens chemistry between James and Remini was evident during those last two episodes. The new season will be set in the near future after Donna’s death. Viewers and critics alike are anxious to see how the circumstances will unfold. Side Note: A&E has renewed the powerful, Emmy nominated series Leah Remini: Scientology and the Aftermath for a second season. New episodes are currently airing on Tuesdays at 9:00/8:00c. Where it left off: The head of the #TGIT lineup gave viewers lots of angst with an explosion at Grey-Sloan Memorial hospital. But many other subplots were in play also. Meredith (played by Ellen Pompeo) and Nathan (Martin Henderson) continued to enjoy time together after Maggie (Kelly McCreary) finally gave them a thumbs up. Later, Meredith broke the news to Nathan that his presumed dead fianceé Megan had been found alive and was en route to a Veteran hospital. After barely escaping death, Stephanie (Jerrika Hinton) decided to hang up her scrubs and get a life, which marked Hinton’s last scenes. April (Sarah Drew) told Maggie that she should pursue Jackson (Jesse Williams) if she wants to. Why you must watch the return: Going into its 14th season, Grey’s is still the #1 scripted drama on ABC. The 2-hour premiere episode will feature the medical staff picking up the pieces of their life as always. Dr. Teddy Altman will make a return to the hospital when the talented Kim Raver guest stars. Teddy’s comeback is tied to Megan’s (recently recasted Timeless star Abigail Spencer) back-from-the-dead storyline. Will Nathan reunite with Owen’s (Kevin McKidd) sister or help Meredith find love again? Jo (Camilla Luddington) may be in danger when her abusive ex Paul (Glee‘s Matthew Morrison) reappears. And who will Arizona (Jessica Capshaw) hook up with next–now that Minnick (Marika Dominczyk) has been let go? Side note: A Grey’s Anatomy spin-off is in the works that focuses on Seattle firefighters. The premise will be introduced in a Grey’s season 14 episode. Jaina Lee Ortiz (recently cancelled Rosewood) will star in the untitled spin-off. It is set to premiere mid-season 2018. Be sure to check out my post on 4 new must-see Fall 2017 tv shows. Which of these returning shows will you be watching? Are you a This Is Us fan? I love tv shows compare than movies. My favorite tv show is prison break and the game of thrones. Here you shared other good new shows for me, I will definitely watch these. Thank you very much for the in-depth details on these shows. It saves me going through them to make a decision. Ok, I couldn’t read it all! I need some element of surprise. After reading about This Is Us, I only read the “where we left off parts” of the others. 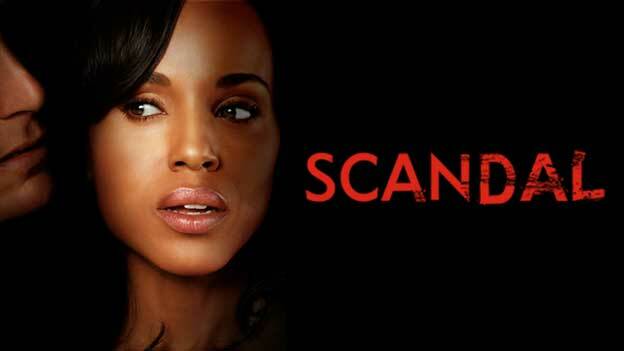 I will miss Scandal, but there isn’t much more that can be done with that show. How come no mention of HTGAWM????? HTGAWM is still on my radar, Lowanda! LOL I have to watch last season’s finale again to remember all the details. I love love love This Is Us. PS- Outlander comes back in Sept! Can’t wait for This Is Us to return!